RSVP Closed! NO spots Left! Recently the party game, werewolf (mafia) is getting popular in Japan. It's originally USSR game, mafia. And nowadays there are some local rules in each of the countries. There are a lot of werewolf game events in Tokyo, but most of them are in Japanese. So we will play werewolf in English!! The rule of this game is not difficult. Everyone can enjoy this game. And you will enjoy acting and you can polish up communication skill, especially persuasive talk. We're sure it must be so FUN!! For your reference please check the links below! This time we will use Japanese local rule. Extra roles are knight and psychic. 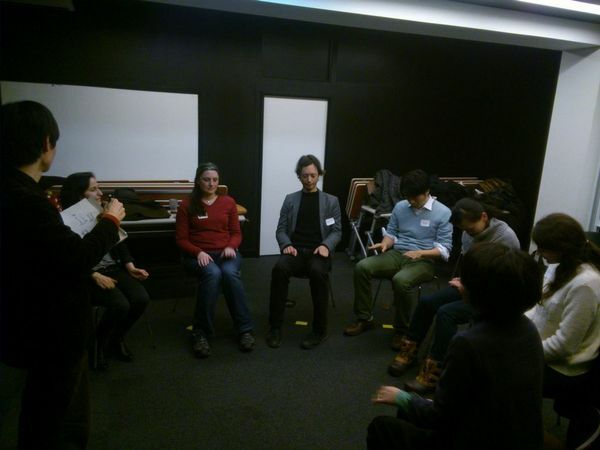 Doing workshops are oriental medicine, five senses, body design, World Café and Werewolf Game. * Pay at the door, included drink (all you can drink), rental space, and game master fee.